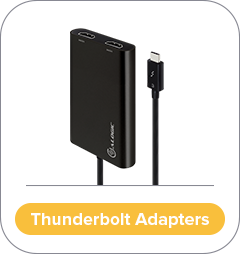 Thunderbolt is the name of the hardware interface that is used to connect devices to your computer or laptop at state of the art speed and versatility. Created by Intel and Apple, this technology has always been multiple steps ahead of USB since 2011. 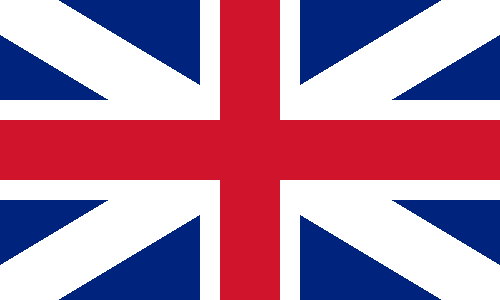 Apple was the main company to take advantage of Thunderbolt in the early days of Thunderbolt 2 and 3. 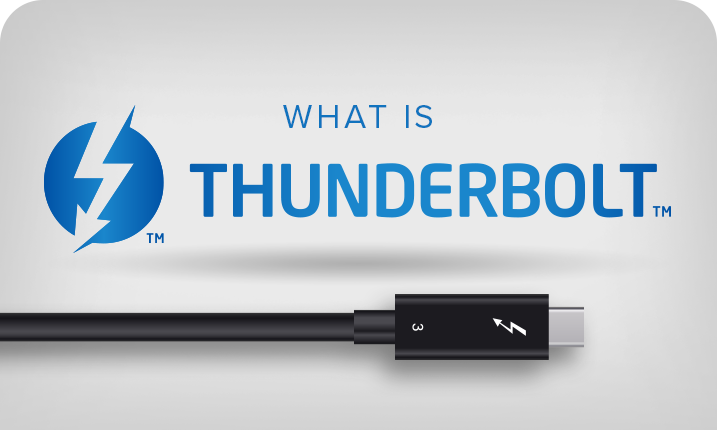 Thunderbolt can be used for so many different things. It can transfer data at an extremely high rate, displaying two 4k screens, charge a device and daisy chain multiple devices together. Thunderbolt was originally marketed under the name Light Peak. Using an optical cable, Intel was able to stream two 1080p screens and use a storage device all over one 30m optical cable. Though Thunderbolt started off using optical, Intel decided to switch to a cheaper option of copper. This also gave the ability to also carry power. In 2011 Apple introduced it’s new line of computers using the new technology and naming it Thunderbolt. 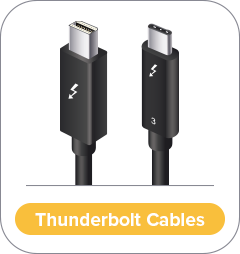 Thunderbolt started off using a mini display port for Thunderbolt 1 and 2 before moving onto USB-C for the latest generation, Thunderbolt 3. The main advantage where Thunderbolt really shines is speed. Thunderbolt 3 has a transfer rate of up to 40Gbps compared to USB 3.2 which is half the speed at 20Gbps. Thunderbolt can charge at 100w, support PCI-E so you can connect a graphics card to it and daisy chain up to 6 devices all on the single port. 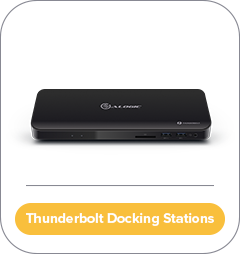 With a Thunderbolt port, you know exactly what you are getting. A lot of USB-C ports on laptops today are not clear on what they can do. If you get a laptop with a Thunderbolt port, you know it will charge and support video. With Intel making Thunderbolt 3 royalty-free, a lot more devices are taking advantage of this technology. ALOGIC is here to help you take advantage of this; our docks, adapters and cables will let you take full advantage of this great technology.